Is there such a thing as 'London pizza'? 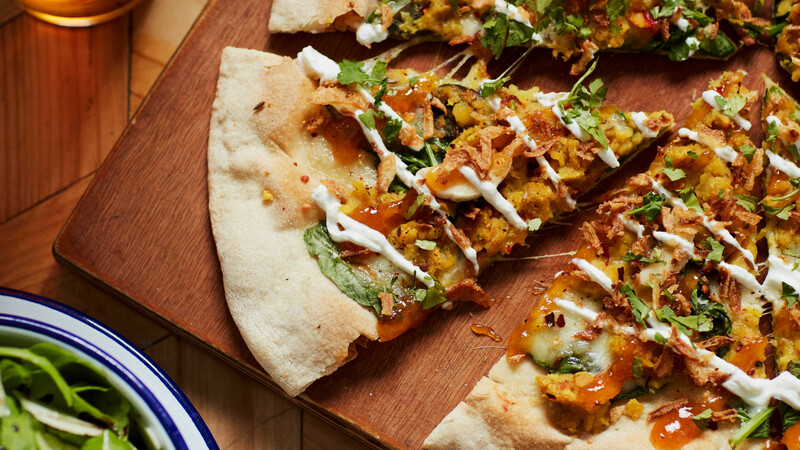 I remember vividly the first time I tried Crate's Kashmiri Dahl pizza. Well, not vividly, exactly – I'd had three of the brewery's 6% IPAs beforehand – but I remember the trepidation with which I decided to finally sate my curiosity as to what dahl pizza entailed. "It's the Greek yoghurt and fresh banana slices I'm struggling with," I worried, reading the description. "I'm with them up to that point, but I just don't want a breakfast on my pizza." "Just try it," my boyfriend said, reassuringly. "I'll order the sage and truffle. If you don't like yours I'll give you half of mine." Of course it was delicious. It was never going to be otherwise, Crate being Crate, dahl being dahl and pizza essentially being another variant of naan bread. You won't find it in Italy – not unless it's over 60 million dead Italian bodies – but Tom and Jess Seaton aren't Italian; they're New Zealanders who have lived here in Hackney for years. "It totally works, doesn't it!" Jess laughs, when I tell her about my dahl pizza initiation. "In our mind it doesn't make sense, because when we think pizza, we think cheese and tomatoes. But the approach we've taken is to see the pizza base as a vessel for carrying beautiful flavours. The dough is a means of putting the delicious topping in your mouth – not 90% of the pizza, like it is in Domino's. I want to fill up on lamb or dahl," she continues – "not a sea of cheese on a pile of bread." She sounds passionate: not quite as much as an Italian or an Italian-American, granted, but confident about the legitimacy of Crate's creations nonetheless. She has good reason: the 'Night of the Dahl Pizza' found my boyfriend and me on the steps outside the door, the canal-side brewery and pizzeria was so full. 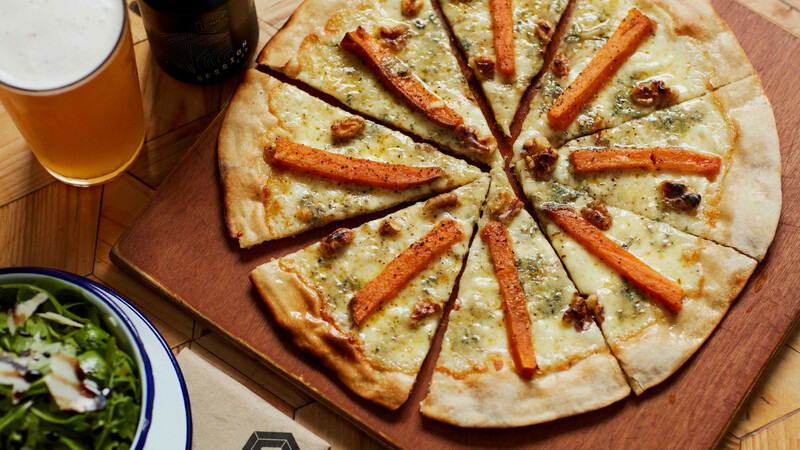 "Creating multicultural pizzas wasn't something we necessarily set out to achieve," Seaton says, "but it's a by-product of my mum and me adapting the foods we loved to cook and eat at home in New Zealand. We wanted to keep the menu short, but fresh and interesting and adventurous." Leave the marinara, florentine and quattro formaggi to the thousands of Italian-run restaurants in London, she continues. "We knew we had to have a couple of familiar names for the less adventurous, but people are so much more open-minded here now. They are hungry for exciting, challenging things." 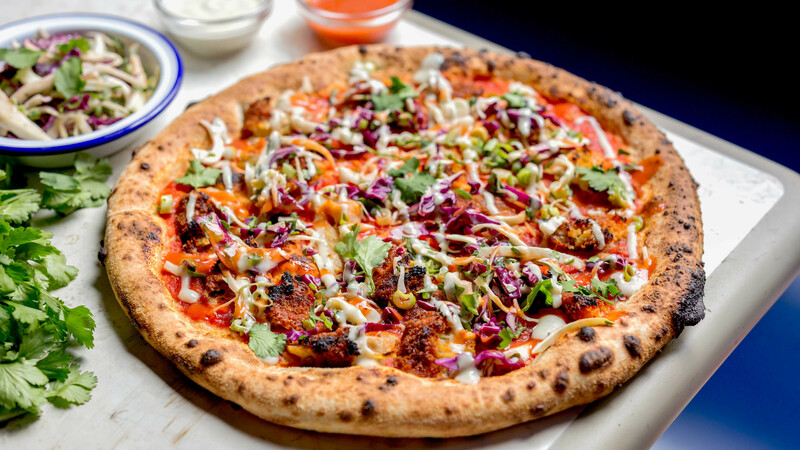 Things like Middle Eastern lamb on pizza; salt beef and gherkin on pizza; jerk chicken on pizza; even pig's cheek, salsa verde and (whisper it) roast pineapple pizza. "We have a really accepting customer base – people who will try anything," says Nick Buckland of Yard Sale Pizza. "So long as it works – and we have tried plenty of stuff that doesn't – there's no limit on what we can do." Beginning quite literally as a sale of pizza in co-founder Johnnie Tate's backyard, Yard Sale has since become best known for two things: its delivery service, and its eye-opening collaborations. "London is a great place to be. You have so many ingredients and flavours – and so many start-ups taking one thing and doing it amazingly." Located in various sites across north-east London, they love teaming up with like-minded local independents. You see a Mexican taquería; they see a pizza. You see a Jewish deli; they see a pizza. You see a Turkish mangal – well, you get the idea. Their minds are always open to ideas and ingredients that come from their surrounding area. "We get as many products as we can locally. Cobble Lane just down the road do our cured meats; Five Points do our beer; the Rib Man does our hot sauce and we work with local butchers and veg suppliers. "We wanted a buzzy restaurant that supports the area, where people can come with the kids after swimming or after work for date night," Buckland explains, when I ask him why Yard Sale isn't heading central. Buckland and Tate spent years in Hackney and Islington; their neighbours and friends who supported their first 'Yard Sales' are their regular customers. 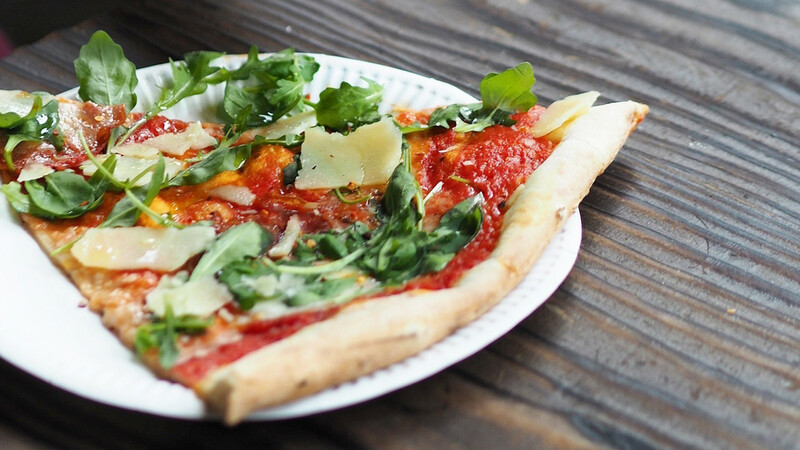 Their pizzerias – and their pizzas – are more a reflection of the North and East London they know and love than they are of Italian cuisine. Which begs the question: has London created its own pizza? 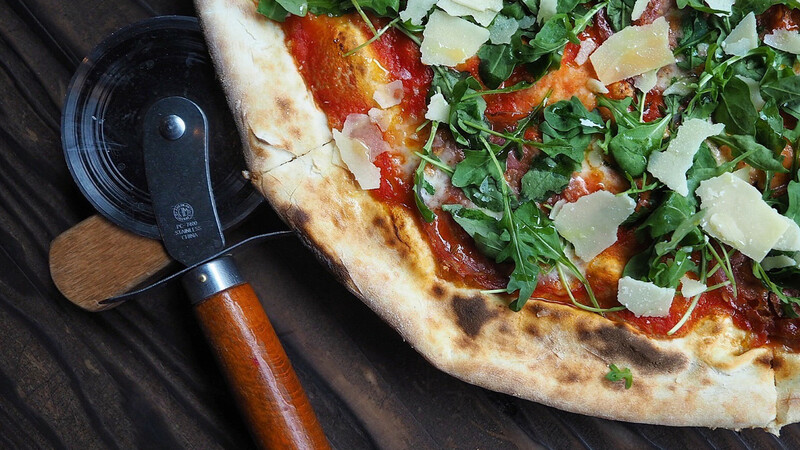 Is London, like New York, Chicago, Rome and Naples, a style of pizza in its own right? After all, I've had English breakfast pizza, dahl pizza and rhubarb and goats cheese pizza – hell, I've even had a pizza called The Geezer covered with salt beef and mustard. Each one has been at least as nice and far more distinctive than those. Of the pizza pioneers I spoke to for this piece – Yard Sale, 400 Rabbits, Sodo Pizza, Crate, the Lord Morpeth and Lost Boys – not one claimed Italian heritage, or even inspiration. 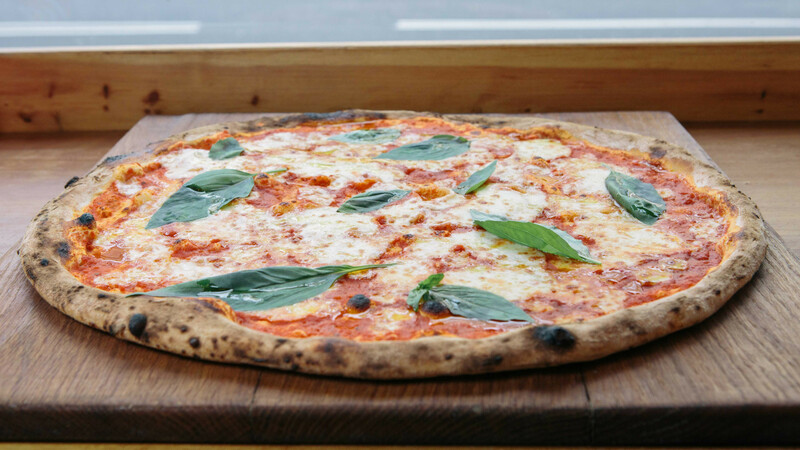 "Franco Manca's founder is Italian, the Pizza Pilgrims toured Italy in a Piaggio Ape van – and good on them," says Alex Fisher of North London's vampire-themed Lost Boys. "We prefer to set trends rather than follow them." He's not sure if theirs is 'London pizza' per se – "Ours is Lost Boys pizza. 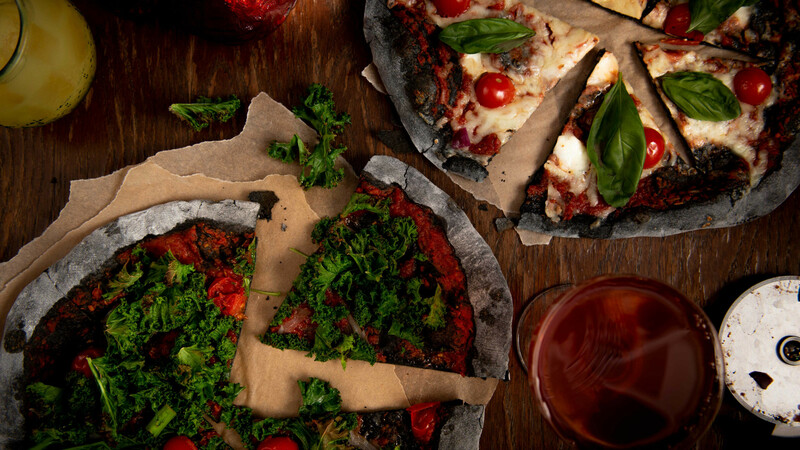 Vampire pizza," he grins, gesturing toward their characteristic black charcoal crust – but he does feel Italians are no longer the arbiters of pizza. "They said that about their coffee ten years ago. Then the Australians brought their flat whites along." 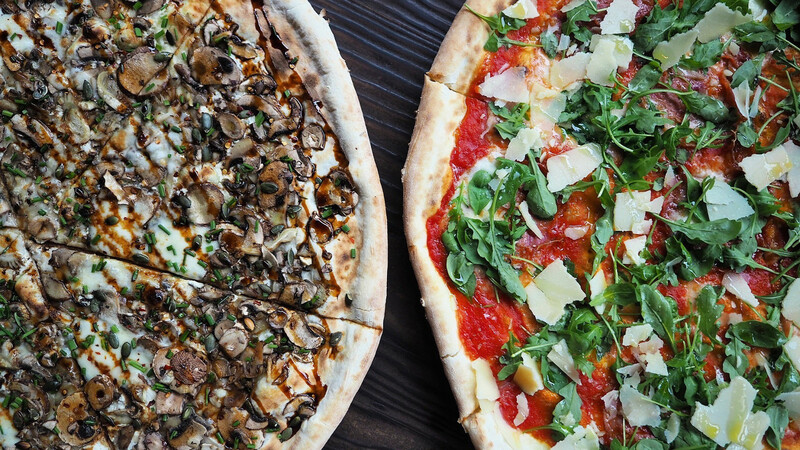 Besides, London isn't short of Italian pizza. Sure, it varies in quality, but in the wake of Franco Manca et al most people know what a Neapolitan pizza should be like. "If you were to open a Neapolitan restaurant, everybody would expect the pizza to be like a Franco Manca or Santa Maria pizza, and be disappointed," says Daniel Edwards of 400 Rabbits – "but my brother and I aren't Italian. 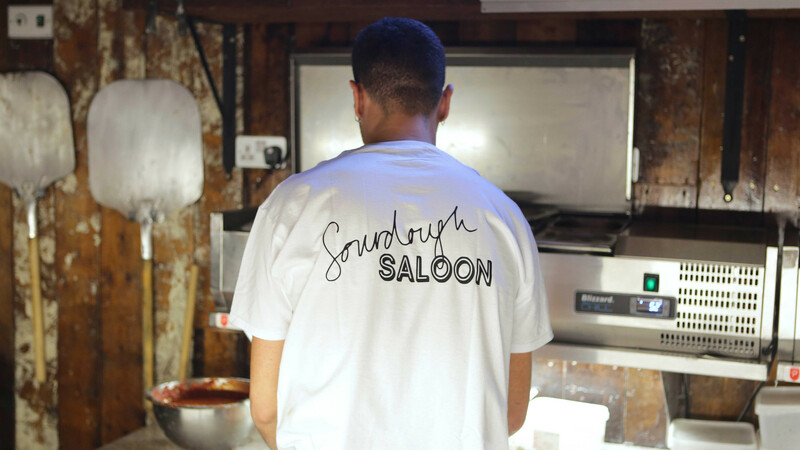 We're from South London, and we wanted to celebrate what makes our area tick in terms of food culture." 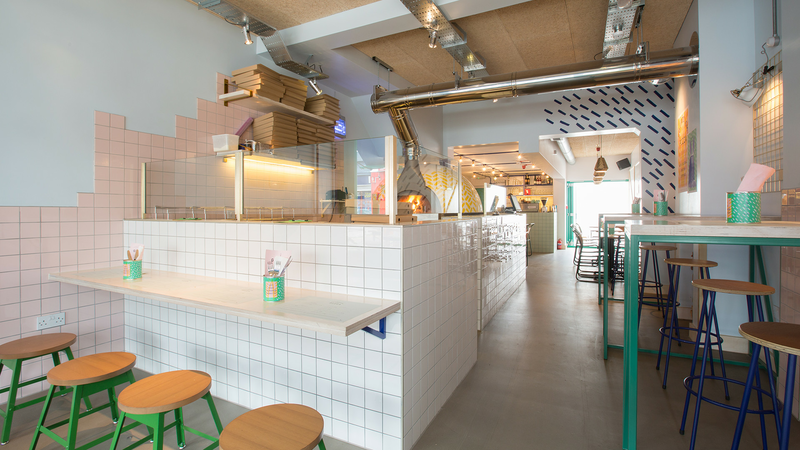 Edwards doesn't dismiss the influence that Franco Manca had on them and their fellow pizza pioneers – far from it in fact. "They opened the door for us. I remember them opening, and being amazed at how fun and different it was." 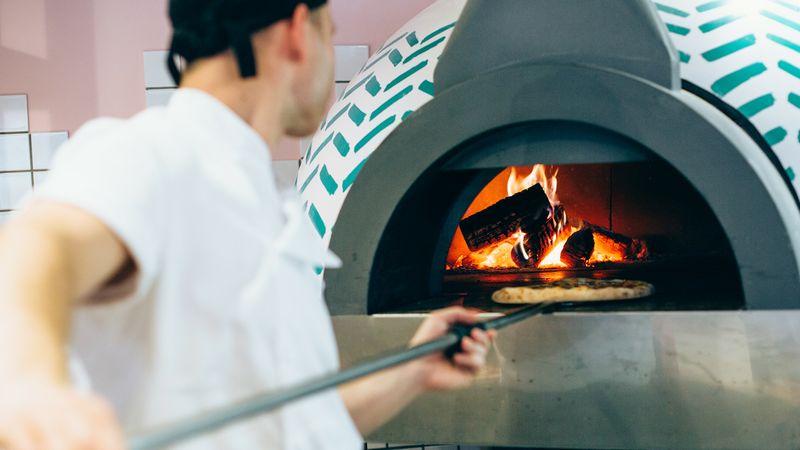 Founded in Brixton by a Neapolitan, Franco Manca was religious with regards to ingredients (Italian) and toppings (Italian) – but they did herald the arrival of sourdough pizza in the UK. "They showed us you can do pizza differently from the chains, and be wildly successful," says Edwards. 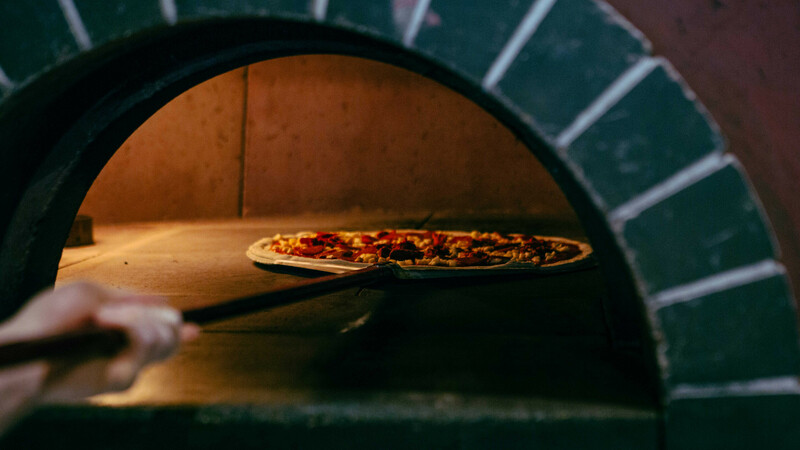 Together with Pizza Pilgrims, they ignited a trend toward wood-fired, hand-twirled, Neapolitan-style sourdough pizzas – paving the way for people like Edwards, Buckland and Seaton to experiment with toppings while at the same time reminding them: it's all about that base. Which brings us to Crystal Palace and their inaugural restaurant, sandwiched between a bistro and a DIY store on Westow Street. In place of Cinzano posters and tattered portraits of Italian nonnas in sepia, its walls honour the Londoners that lived in the area: author Emile Zola, and the painter, Camille Pissaro. "When you go into an Italian restaurant, the music and décor is intended to conjure up a sense of Italy – to make you feel you're on holiday. When you come to us, we want you to know you're eating in a restaurant in South London." In a few months, they'll be opening up in Mrs Beeton's old stomping ground, West Norwood, and they'll design it with her in mind. "I think that you lose a bit of the feeling and sense of a place when you open up in Central." Like Yard Sale, 400 Rabbits are hot on collaborations: collaborations as a way of investing in their community, but also a means of reflecting their community. "For National Pizza Day last year we teamed up with Zoe Adjonyoh of Zoe's Ghana Kitchen, and it really exemplified what we want to do. There is a huge community of Ghanaians that have made their home here, bringing their food and their way of life which has since become part of London – and become something a little bit different," he says, pointing out how transplanting a cuisine to another country necessitates using different ingredients, thus mothering the invention of new ideas. "I think when we do collaborations, we show exactly what I mean when we say London absorbs culture. 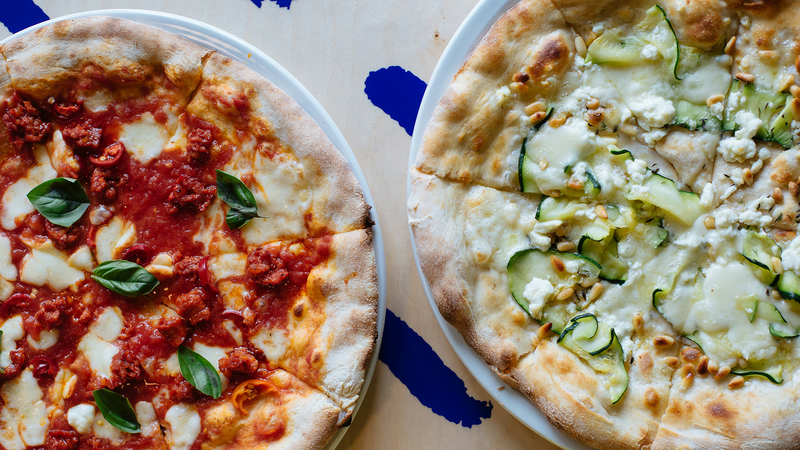 You can get great pizza in other cities, but it's the collaborations that are so great here – and pizza lends itself to collaborating more than most other foods." London pizza – as exemplified by these guys – is global pizza: pizza which transcends the boundaries of nationality and tradition. "I've never been anywhere with such different toppings on pizza," observes Mark Bowles, general manager of the Lord Morpeth in Bethnal Green. 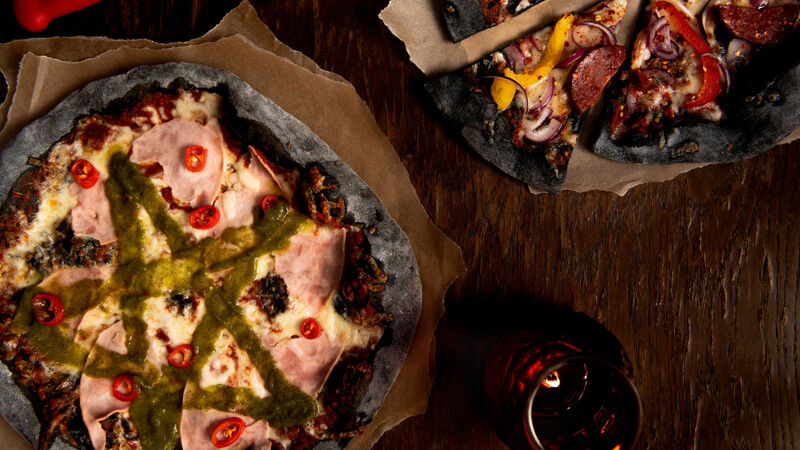 Their signature is The Geezer, with salt beef and gherkins: a bold blend of the East End staple and a sourdough pizza, which started life as a tongue-in-cheek ode to their guests' "big personalities". "It's the marrying of cultures: young and old, modern and traditional, Italian and British. It's the Marmite that gets people talking" he explains, as he tells me the story of turning this shabby boozer into a pub that's as popular with the new generation of 'Eastenders' as it is with the old guard. 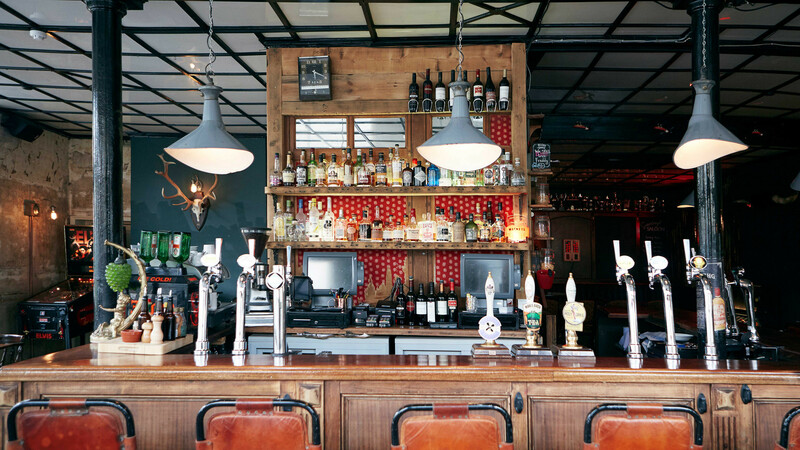 "A big part of what I've been trying to do is bringing the pub more into the community; not being so on trend that we exclude the old regulars, while ensuring that people don't feel like they have to have been drinking here for 30 years in order to come in." 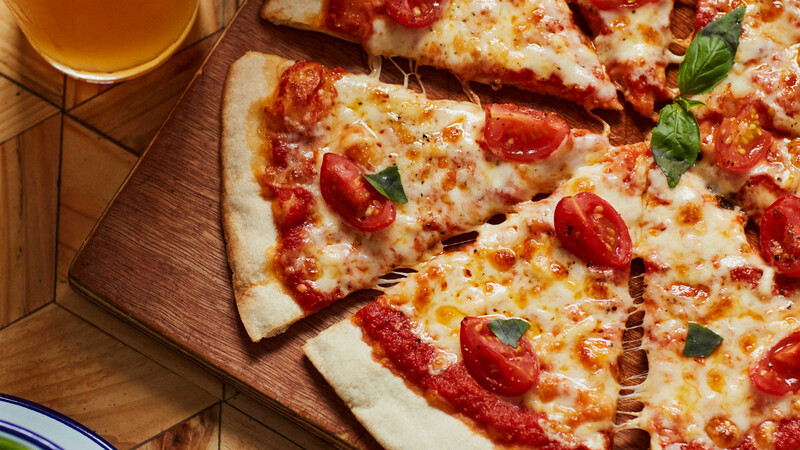 Hence, pizza: not just The Geezer, but margherita, calabrese and other Italian classics. 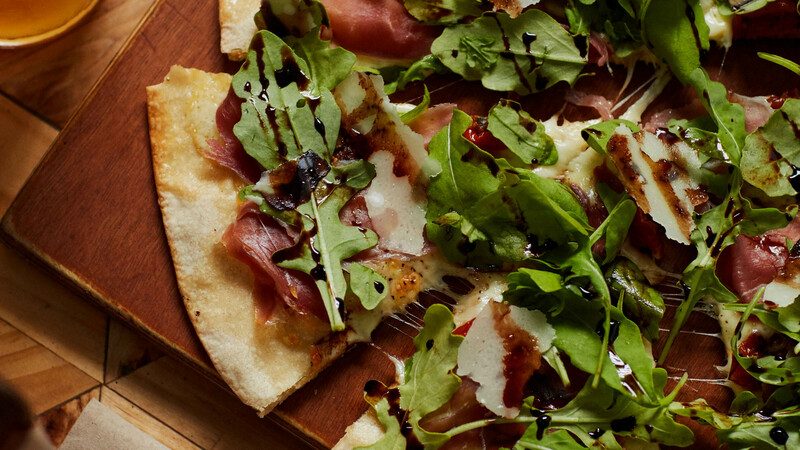 "It would be a bold, even pretentious statement to say we wanted to make pizza British. 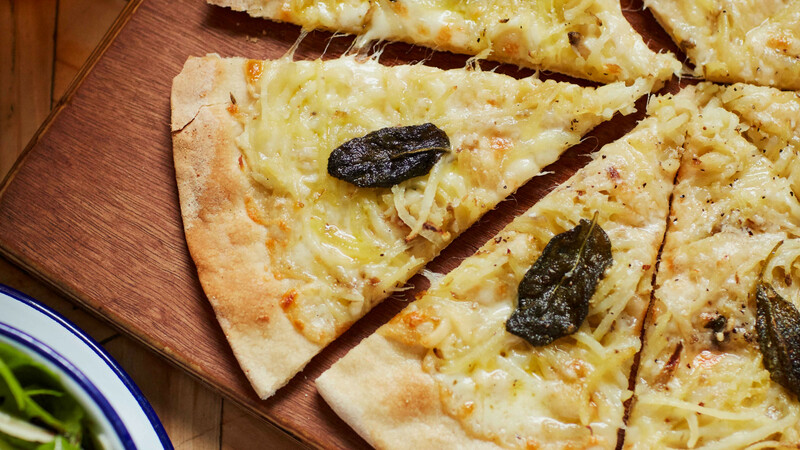 We wanted to make pizza because we had limited space for the kitchen, and pizza works well in a pub." Shareable, cheap and flexible enough to accommodate different appetites, pizza is a communal dish for a community space. "It adds to the family feel. It's a food that encourages people to chat, rather than the silence which often falls when the food arrives." It's a sociable food, without cutlery (or even a plate in the case of Crate, 400 Rabbits and the Lord Morpeth, which serve on paper or pizza boards) and it goes perfectly with a pint or three. It is, as several London landlords are discovering, the freethinking person's pub food. "It's a match made in heaven, craft beer and pizza," Seaton of Crate points out – both in terms of taste, and from a business perspective. 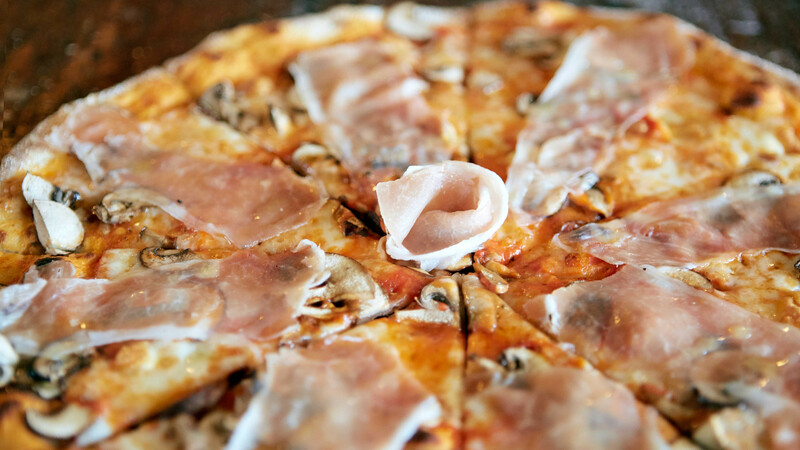 "If you've had a pizza, you'll likely stay for a couple more rounds. If you haven't, the next round could be game over." 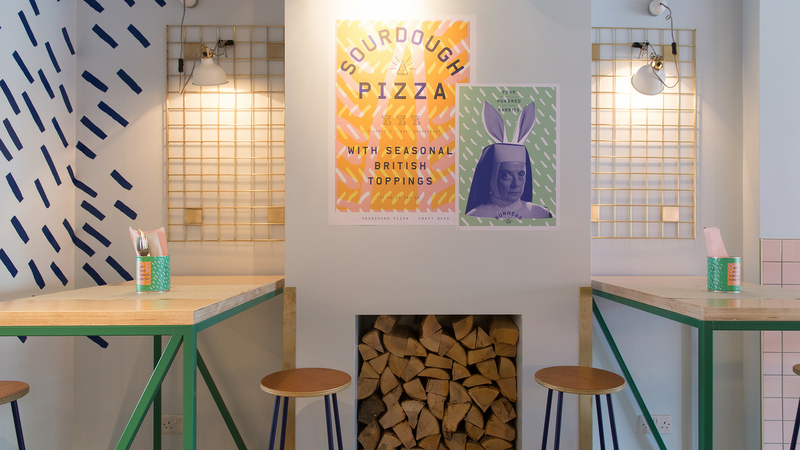 Both sourdough pizza and beer rely on fermentation – hence the name 400 Rabbits, an oblique reference to the Aztec god of fermentation – and were mired in tradition for years until someone had the brass neck to challenge the Italians on pizza, and the Campaign for Real Ale (CAMRA) in the case of beer. 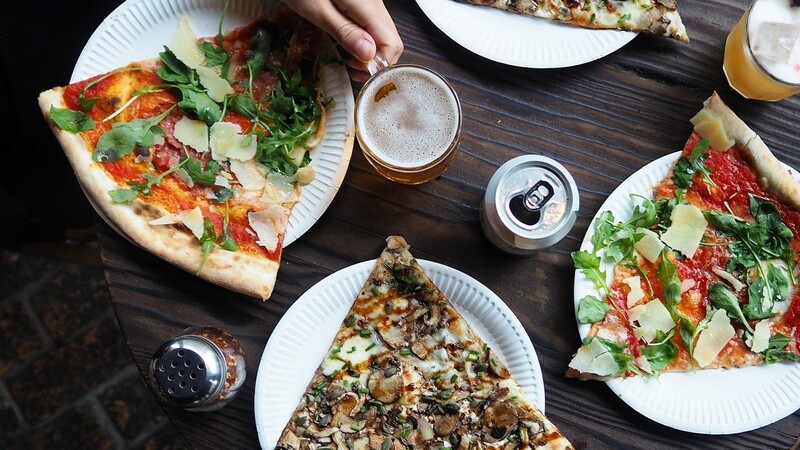 Being in London liberated guys like Edwards and Seaton from Italy's monopoly on pizza, just as being in the States liberated Brooklyn Brewery, one of the early pioneers of the craft beer revolution. 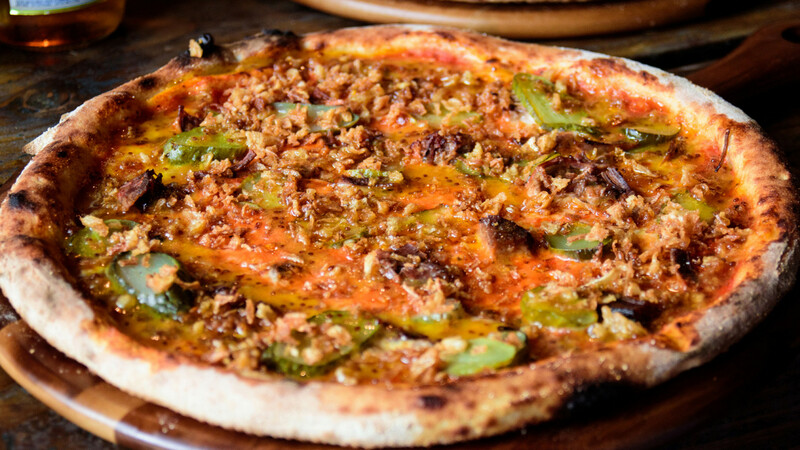 "We were so tied down by CAMRA we never thought to experiment here in Britain until we took inspiration from New York," observes Dan Birch of Sodo Pizza in East London. Similarly, the Italian and Italian-American fixation on heritage when it comes to pizza tended to stifle any sense of adventure or creativity. Bowles doesn't think London has its own style of pizza yet: "after centuries, the Italians and Italian Americans have it down. The rest of us are just playing catch up." "If you think about New York and the dollar slice, it's everywhere in the city. That's tradition," agrees Birch. "I think we've some way to go." That said, he can see it happening. 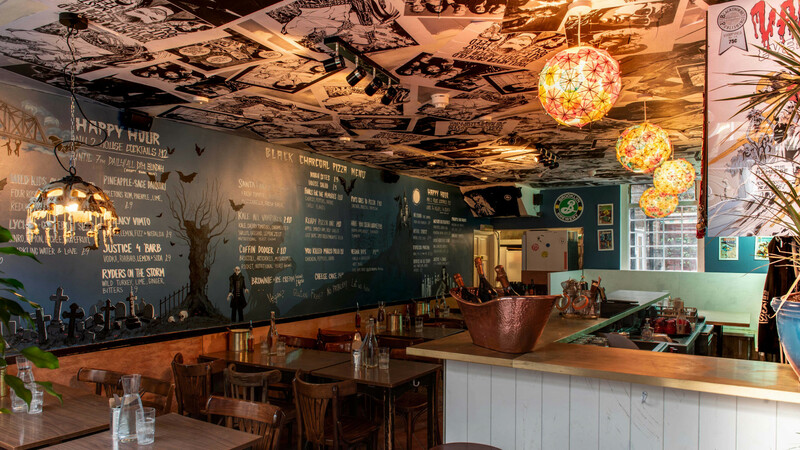 With the exception of the pubs, each restaurant I speak to has at least three venues and counting – and that's before you consider Homeslice, now serving its trailblazing toppings across central London. 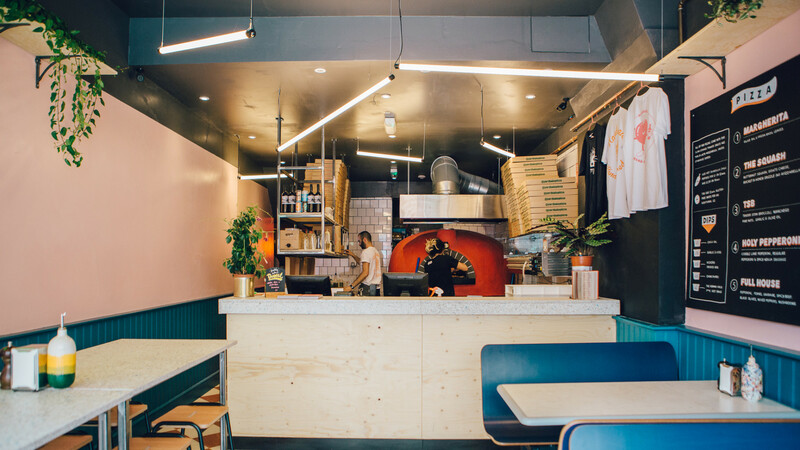 Founded on a truck in 2012, Homeslice was one of the first to champion local, seasonal, 'non-pizza' flavours (think cauliflower cheese, pumpkin, spiced lamb) over and above traditional numbers – a defining move for our pizza scene. "The interesting thing with New York is that it is all about import with them. Yet the whole point of pizza in Naples was that the ingredients came from the surrounding areas: mozzarella from that farm, tomatoes from the garden, wheat from the neighbours' fields," continues Birch. "Transport that hundreds of miles away and you lose the provenance and flavour. Recreate it using what's good and seasonal in London, and you will have something a lot tastier," he continues. "Something that reflects the terroir." 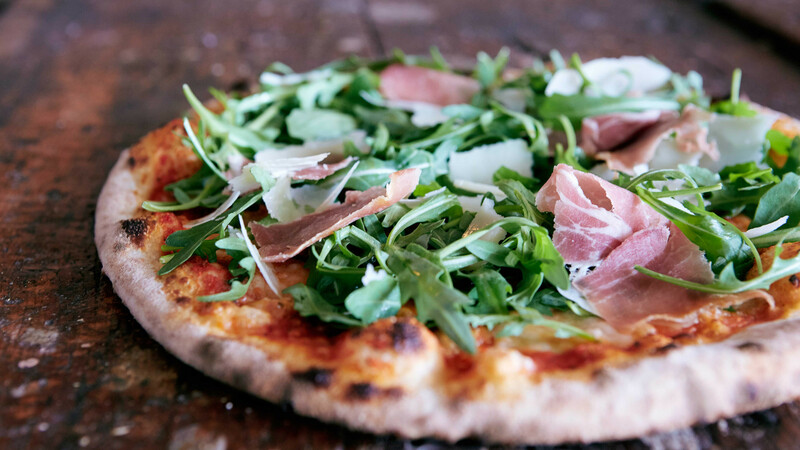 For pizzerias like Sodo and 400 Rabbits, the resurgence of outer city farms, old fashioned flour mills – even the arrival of mozzarella producers in the home counties, have been the great enablers of London pizza. "I was looking at our Brexit contingency plans recently, and I realised that, with the exception of tomatoes, almost everything we use is from the UK. 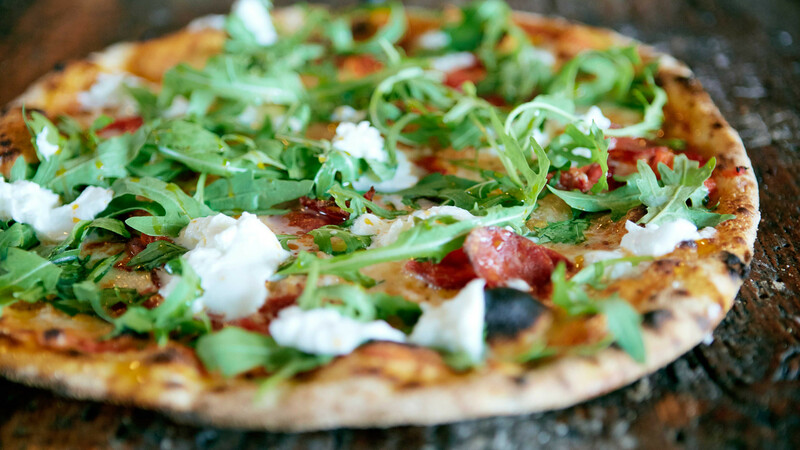 Our flour is from the Cotswolds, our mozzarella is made from local raw milk in Essex. The great thing about that is, mozzarella is best used screamingly fresh," explains Edwards. "It's four or five days old by the time it reaches you if you import from Italy." Not everyone's converted – "we tried British mozzarella, and the quality wasn't quite right for us" says Buckland of Yard Sale. Lost Boys and the Lord Morpeth agree – but the force of tradizione is strong in mozzarella. Give it another couple of years, says Birch, and this too may well change. "Simona, the cheesemaker at La Latteria in London uses one herd from one farm in East Sussex for all her mozzarella. There's freshness. There's transparency. In Italy, the milk is increasingly being imported from Eastern Europe," says Birch. It's the same story for the legendary 'flour of Naples', Caputo. "The wheat in Caputo is not from Naples. It's not even from Italy. It's from all over." Whether or not this detracts from the quality depends who you're asking: Birch prefers to blend his organic, European-origin flour with stone-milled heritage grain from Buckinghamshire, but Yard Sale use Caputo, Homeslice like German flour, and – not to be outdone – Lost Boys incorporate black charcoal into their dough. 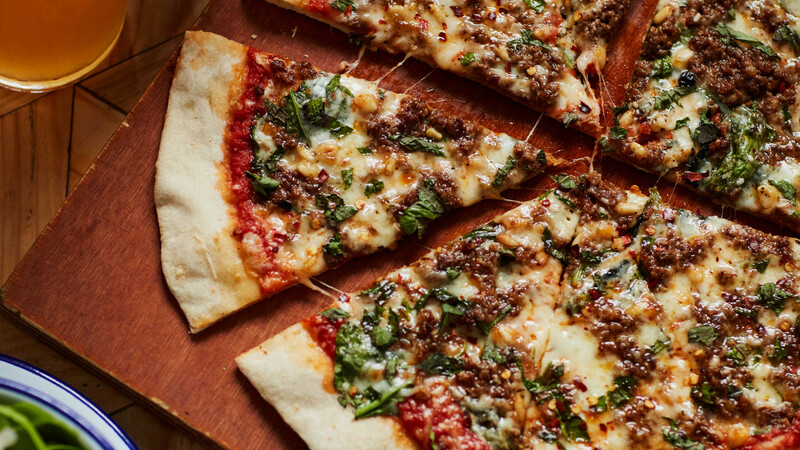 "London pizza is anything you want it to be," shrugs their founder, Fisher. It doesn't mean you can rip up the rulebook and ignore everything else that's going on – "not everybody is Steve Jobs," he laughs – but being in London does give you liberty to explore new recipes and new identities. Where else would you find pizzas called Fangs for the Memories and You Killed Marco Polo, but in London's Camden Town? In the end, I find there are really only two things that unite London's pizzas. 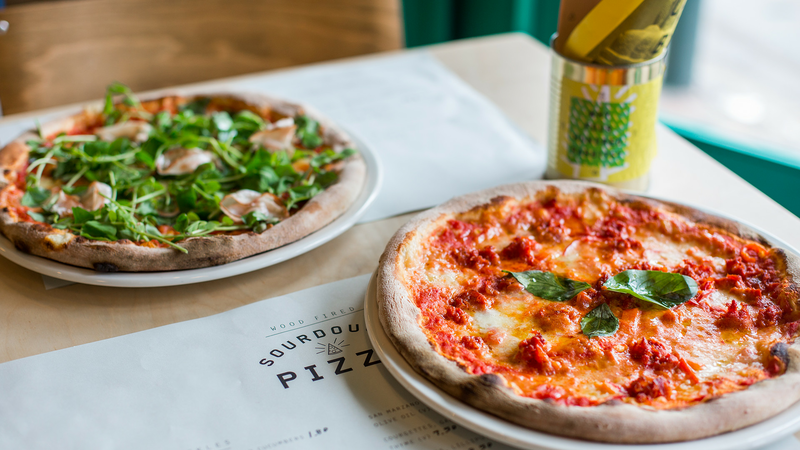 The first is their sourdough base – pioneered by Franco Manca but which, today, is fermented at least twice as long as the Neapolitan style. "They only ferment their doughs 12 to 24 hours. We ferment our sourdough for three days to get that sourdough tang," says Edwards. "Sourdough is definitely something that has taken hold in London – and it's great, because it's lifted the bar for everyone" adds Buckland. Where else would you find pizzas called Fangs for the Memories and You Killed Marco Polo, but in London's Camden Town? At Yard Sale, they ferment their dough for 48 to 72 hours. Start with good quality dough – a flavourful, tangy crust bursting with bubbles and puffy bits – and "it doesn't much matter what you put on top," he continues. It's why you'll find flavoured oils and even dips on every good pizzeria table. Gone are the days when we would hollow out the middle to leave a frisbee of dense crust. "We want our dough to have character," concludes Edwards. 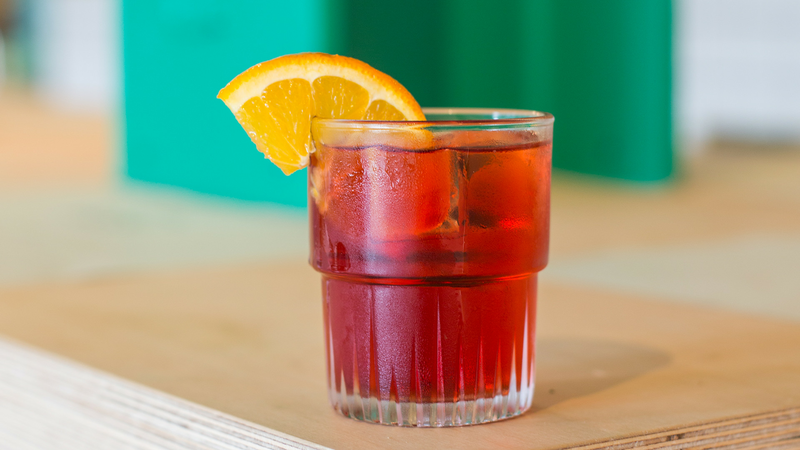 They might be pretty Neapolitan in looks, but they are London when it comes to the taste. The second point of unity is, perhaps, the most obvious: the fact that, when it comes to pizza, nothing is gospel. "We have always been known for being rebels: in fashion, in music, and now in gastronomy. 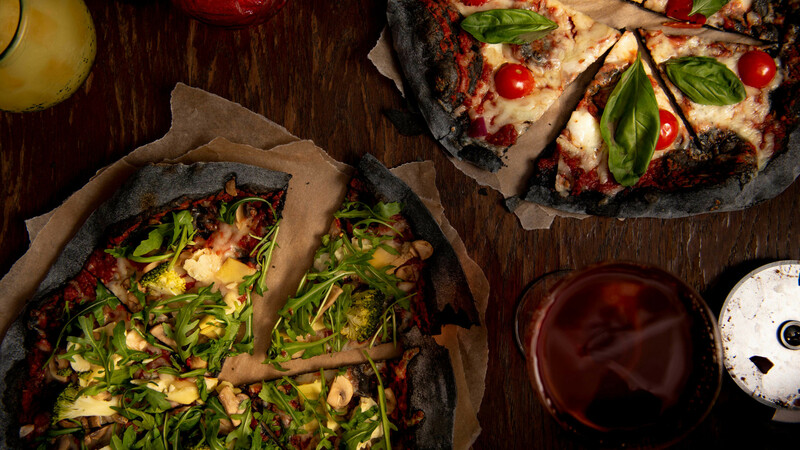 Maybe fusion pizza is London's pizza," Bowles muses in the Lord Morpeth, over empty plates that only minutes before boasted a salt beef pizza studded with pickles and rippling with rare, pink meat. Be it Kashmir's dahl, Ghana's jollof, or our very own East End number, "we're not shy to break with tradition. We're the global city that mixes it all together and take inspiration from every corner." In these fraught and fractured times, this sounds like just the kind of pizza I can get involved with. Indeed, it sounds like just the kind of pizza we all need.